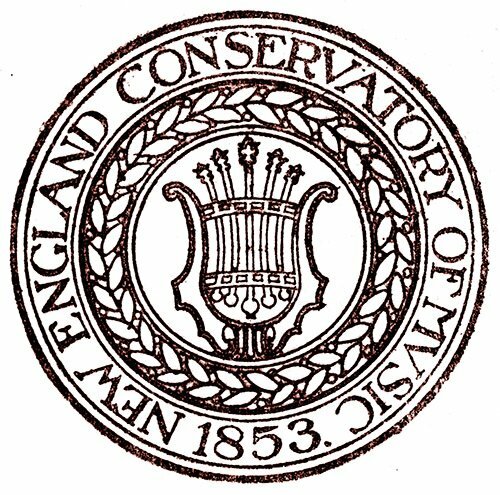 We’re all used to hearing fine New England Conservatory performances of all sizes in its Jordan Hall. 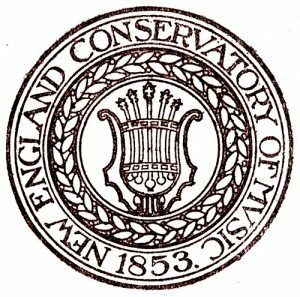 Next Wednesday, as part of the celebration of the conservatory’s 150th birthday, the NEC Philharmonia will move down the street to Symphony Hall. 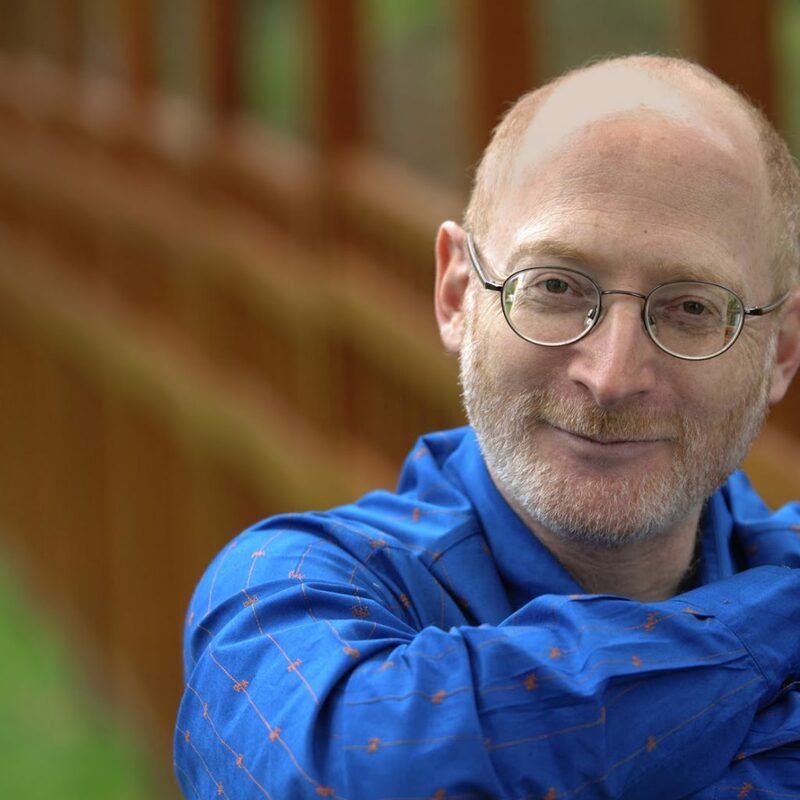 Stanford and Norma Jean Calderwood director of orchestras Hugh Wolff, marking his 10th anniversary at NEC, leads a 7:30pm program that includes the world premiere of an NEC 150th anniversary co-commission by Aaron Jay Kernis, plus music of Bernstein and Debussy. At 5pm in Pierce Hall, Kernis will give a seminar on his works and writing style. The evening opens with Kernis’s Symphony No. 4, Chromelodeon, co-commissioned (with the Nashville Symphony); its movements are titled “Out of Silence,” “Thorn Rose | Weep Freedom (after Handel),” and “Fanfare Chromelodia.” Leonard Bernstein’s Serenade for Violin and Orchestra after Plato’s Symposium (movements “Phaedrus, Pausanias;” “Aristophanes;” “Eryximachus;” “Agathon;” “Socrates, Alcibiades”) will mark the composer’s centenary. Multiple competition prizewinner and former Miriam Fried student In Mo Yang, who will play solos part on the Joachim-Ma Stradivarius. The April 18th concert concludes with Claude Debussy’s La Mer (“De l’aube à midi sur la mer”, “Jeux de vagues”, “Dialogue du vent et de la mer”). It is the fourth visit to Symphony Hall for Hugh Wolff with the NEC Philharmonia. 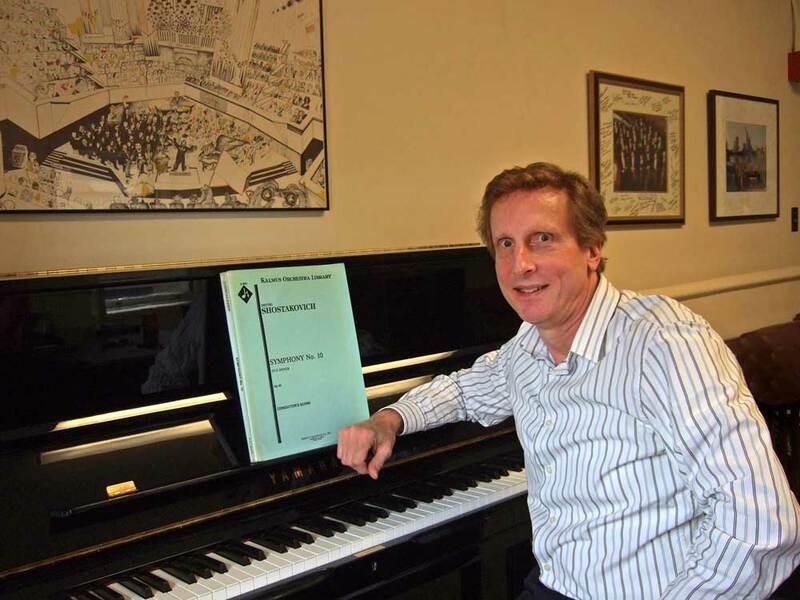 In his career he has led the National SO, the Northeastern Pennsylvania Philharmonic, the New Jersey SO, the Saint Paul Chamber Orchestra, the Grant Park Music Festival, and the Frankfurt Radio SO. Last fall Wolff opened the Belgian National Orchestra season as their new artistic director. Calls and responses follow from messieurs Wolff and Kernis. FLE: How does the experience of playing in Symphony Hall grip your orchestra? Hugh Wolff: Symphony Hall is certainly better than Jordan Hall for very large orchestra repertoire. That means, in this case, for both Kernis and Debussy, it is one of the best halls in the world. The acoustics allow the musicians to play with subtlety of feeling and color, without forcing, and with both clarity and depth of sound. For the members of the orchestra who have never played on its stage, I hope it is a thrill. For me, it is a privilege and a joy. We’re marking anniversaries: the school’s 150th, Bernstein’s 100th, and 100 years since Debussy’s death. The Debussy is an important masterpiece that every orchestra musician should know and perform. I suggested the Bernstein, a far less well-known work, to our Artist Diploma violinist, In Mo Yang, and was delighted that he really wanted to play it. And I believe the most important thing any performer can do is participate in the creation of new art. As much as we love and perform the great music of the past, we have to ensure that both the orchestra and orchestral music thrive well into the future. To that end, we commissioned a big new work from Pulitzer Prize-winning composer Aaron Jay Kernis. I have known Aaron for almost 30 years and have premiered other major works of his. I am very excited to help launch his new symphony. The press release said “It’s a fusion of history and where music is taking us.” Does that mean that there are specific programmatic references to NEC’s history or the development of musical language over the last 150 years? Or is the exuberant publicist talking about the entire program? Aaron Kernis: Definitely an exuberant publicist—and it’s true! The program brings together the span of time from Platonic thinking (influencing the Bernstein), skipping to a scrap of a Handellian melody in my work to the late 19th century with Debussy’s quite modern, uniquely sensual sonic world, to the obvious 20th-21st century angles in the LB and AJK works. Then even more so with the orchestra made up of young adults of our time in historic Symphony Hall. Did you consider the forces that will be premiering the work when you wrote it? Are you writing to what you perceive as elements of their character? I usually do spend time getting to know that sound of a group, their hall and music director. (My relationship with Hugh Wolff goes back to 1990 and my first Symphony in Waves.) I got to know this current orchestra (changing complexion constantly as members graduate) when I came up a few times to hear them, but more important in this case, it was about writing a big work for young professionals, who I knew would be capable of just about everything (even more than their older counterparts). Each successive generation of musicians grows in technical prowess and speed of comprehension. I did not hold myself back from writing a work these truly impressive players could sink their collective teeth into, and I wanted to honor this great musical institution at a fundamental moment in their history by writing a significant piece for their students to mark it with. The movements have interesting titles. Does the first, “Out of Silence,” conjure the opening of Haydn’s Creation? In a manner of speaking…. when I began the symphony, I was enmeshed in reading Thich Nhat Hanh’s Silence, a wonderful book on meditation and hearing the world. In it he talks about the five types of sound in Buddhist thought, and I’d hoped to write the work on those five types. When I could tell that my search for the path toward enlightenment was foundering, and not moving fast enough :) (or at all – I had a deadline for the piece, after all), I moved onto writing the symphony instead of waiting any longer. “Fanfare Chromelodia” suggests a chrome-plated melodeon, but that’s surely not what you had in mind. Since the entire work is subtitled Chromelodeon, let me explain: Chroma is color, or the full range of chromatic pitches in the scale, melodi is line or melody, and eon is one who performs—in other words it is chromatic, colorful melodic music performed by an orchestra. BTW, there is a 32-note-per-octave organ created by Harry Partch and a cult rock band called Chromelodeon. This third movement is an exuberant, changeable fanfare, in contrast to the darker, dramatic changeable music that precedes it. You have studied with Charles Wuorinen, Morton Subotnick, Bernard Rands, and Jacob Druckman. How is it, then, and according to Alan Rich and others, your style has neoromantic intensity with exuberant imagination; your thematic material and sound palette keep audiences engaged. One hears the rhythmic drive and timbral exploration of Bernstein, Mahler, and Stravinsky, and echoes from Debussy to modern hip-hop. And is there anyone you haven’t studied with? Don’t forget John Adams (when I was 18)! These are old descriptions, and they’re fine, but I’ve never really stayed still. The quote from Alan Rich (may he rest in peace) is nearly 30 years old. I’m relieved that it’s hard to pigeonhole my work in a word. Music is a continually evolving and multifaceted art. While over my career I’ve not felt the need to smother my debt to history, I think I’ve taken a long journey into being myself. In earlier years some of my music showed the influence of those mentors, but formal schooling (and lessons) ended for me in 1983. I’m my own person now, and part of what I do in my own work as mentor is to try to assist young composers in finding their own path. You once said you feel more comfortable writing beautiful music as opposed to atonal works. That’s a really old quote. There is beautiful and wonderful music in every style and language. (even in rap, which my kids have opened up to me). My work now is far less consonant than it was in the ’80s, when I was just starting, but Music in not about the binary dissonant/consonant, chromatic/tonal, etc. All music is there for us to celebrate, enjoy and make part of our own path. For Hugh Wolff: I have to observe that when the stars are aligned the NEC orchestras can rival the big one next door. Is there some magic sauce beyond the exuberance of youth, talent and the luxury of plenty of rehearsal time? There’s no magic sauce and not really the luxury of unlimited rehearsal time. The NEC orchestras operate much like professional orchestras both because the students need to learn how the real world works and because they are more than capable of delivering under those conditions. This concert was prepared on a total of 20 hours of rehearsal, perhaps twice what the BSO would allocate, but only two or three hours more than most European orchestras would have (and our students are responsible for a full school curriculum as well). Yes, the NEC students have exuberance and talent in abundance. In my view, today’s students also have an amazing ability to absorb and master difficult new music. This new symphony would have utterly defeated students in my era, but today the standard is so much higher.